‘Lucky You! 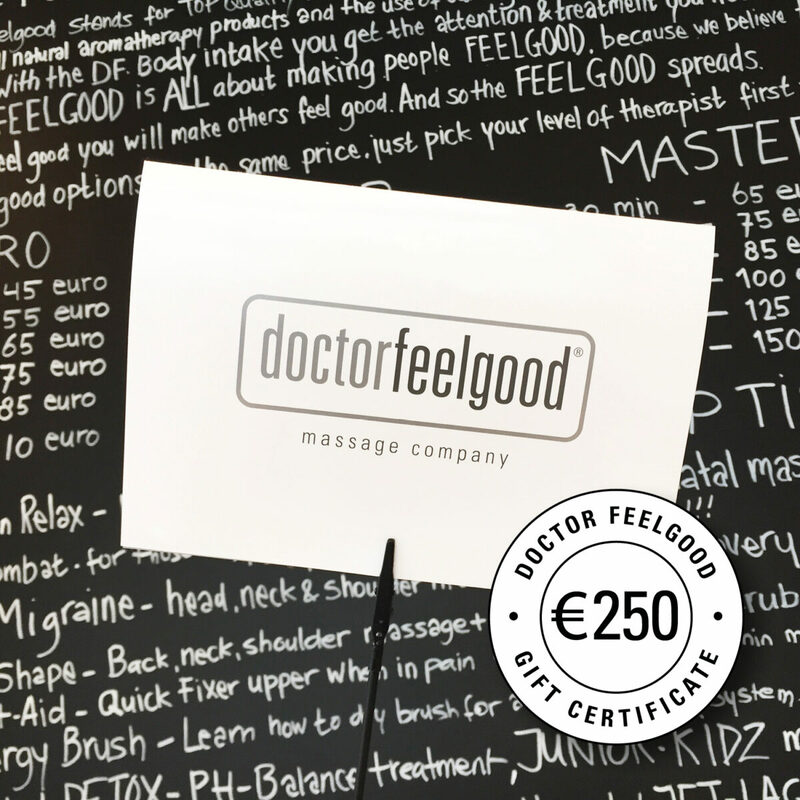 Somebody wants you to feel good!….’ it says on top of this great DF Gift Card! A Doctor Feelgood Gift Card can be used for all massages on all levels and off course all products in our stores so it gives your friends the full freedom of choice. A very good-looking folded A5 Card with names of giver and receiver and a special personal message makes the DF Gift Card a unique gift for any occasion. Off course it will be sent directly to your friend gift wrapped!